Arkansas played a unique role in World War II. It was the location of a number of prisoner of war camps (Fort Chaffee, Camp Robinson, and Camp Monticello), Japanese American internment camps (Rohwer and Jerome), and a number of smaller branch camps. 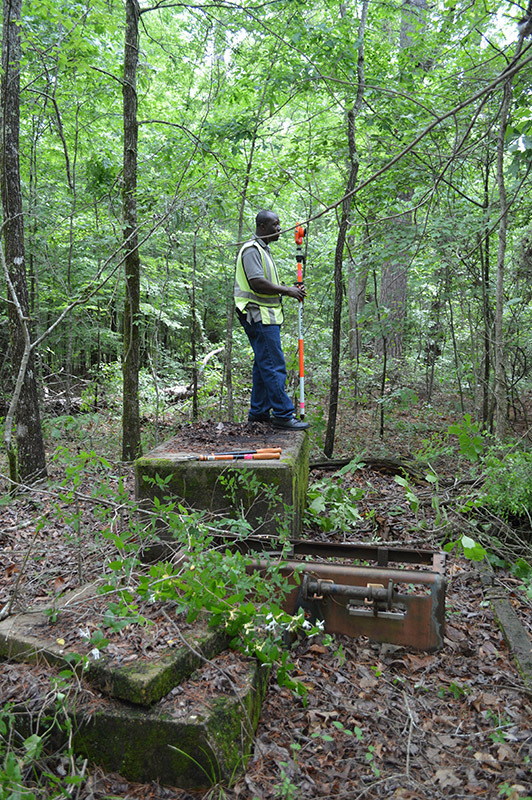 The UAM Research Station has been conducting archeological research at Camp Monticello located in Drew County. The research offers insight into the daily routines of the Italian prisoners-of-war (PoWs) confined there. 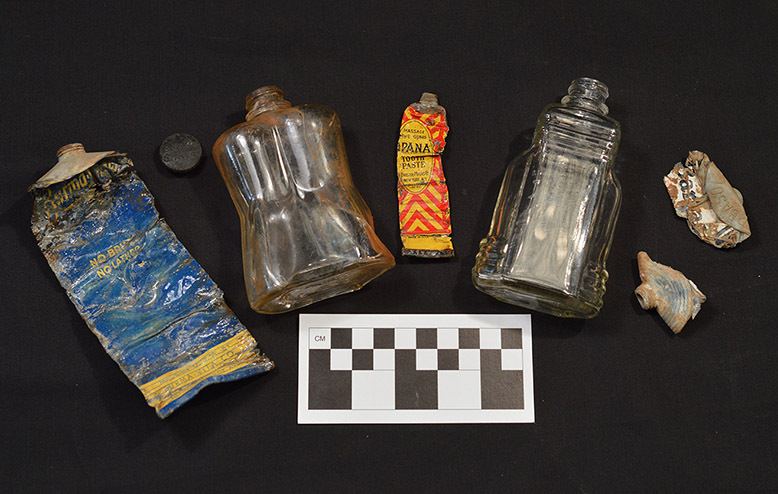 Personal artifacts recovered from the Officer’s Compound. On June 30, 1942, Congressman William F. Norrell announced that a $2,000,000 prisoner-of-war camp would be built in Monticello. In March of 1943, it served as a training camp for the Women’s Army Auxiliary Corps until the first Italian PoWs arrived three months later. The camp was dismantled in 1946, but remnants of concrete foundations, roads, and other architectural features comprising the compounds within the camp landscape can still be studied today. UAM student Mark Abban holding the stadia rod during the total station mapping project. 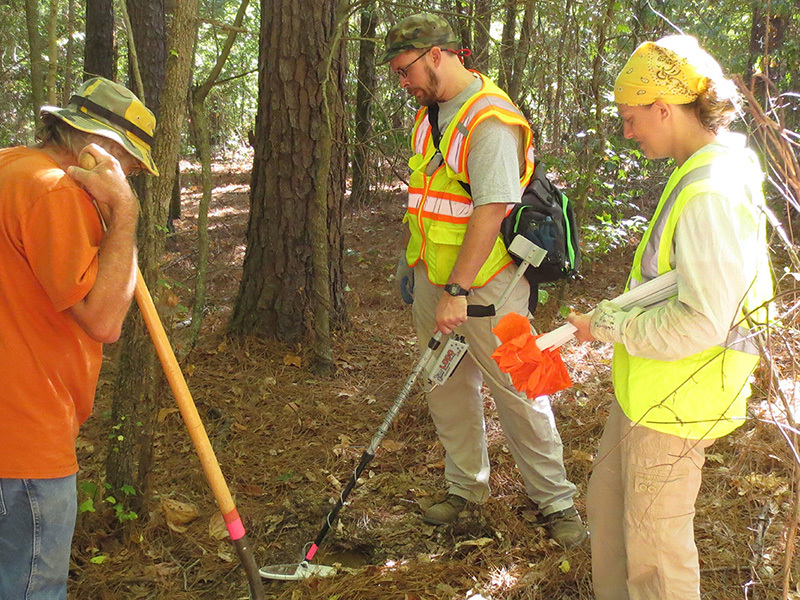 Archeological research has consisted of archival searches, total station mapping, metal detecting, and shovel testing. The archival searches resulted in newspaper articles, a number of site survey, labor, and camp inspection reports, letters regarding the transfer of PoWs to and from Camp Monticello, menus, clothing and equipment records, and other relevant documents. The building foundations and other above-ground features at the site were mapped with a total station and this map is being compared with period maps of the camp and with archeologically obtained artifact collections to identify the buildings and how they were used. Metal detecting and shovel testing have yielded a U.S.-issued dog tag, buckles, Burma shave tubes, hotel ware dish fragments, lots of nails, and other artifacts. Taken together, these sources of evidence are helping archeologists study the everyday routines of the PoWs—walking from the barracks to the latrine every day, most likely carrying a rucksack with clothing and personal items to shower and shave; walking from the barracks to the mess hall for caffé latte and biscotti; and walking from the mess hall to the recreation area for a game of boccie ball or a soccer match, working, attending mass, preparing Italian meals, creating miniature models and painting landscapes, and doing routine everyday things. 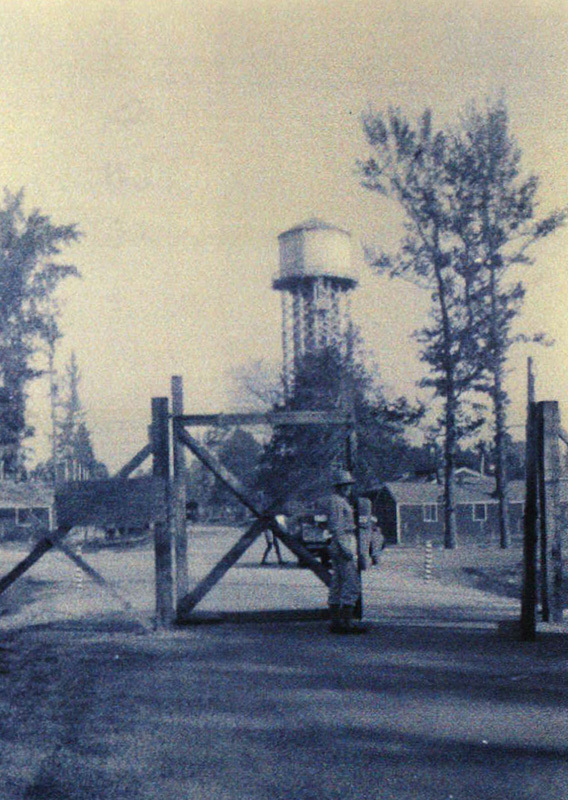 Entrance to the Officer’s Compound at Camp Monticello with the water tower in the background (photograph courtesy of Pat Globes Carter).